What is Wilderness Therapy & Can it Help My Troubled Teen? What is wilderness therapy and can it help my troubled teen? Wilderness therapy is a type of residential therapeutic intervention that takes place in a natural setting. Students are divided into boys’ and girls’ groups. The groups have a basecamp where they regroup, and they head out on expeditions from there. They are assigned activities that are designed to challenge the group and bring the students together and, at the same time, build each student’s self-confidence and self-worth. This type of therapy is extremely effective for troubled teens because it removes them from not only their comfort zone, but from their negative influences. More importantly, it removes the modern conveniences that they’ve become accustomed to, so they become empowered as they learn to provide for themselves. A good program for troubled teens is generally non-confrontational. In other words, students are not threatened, yelled at, or punished. Counselors are right there, participating in challenges and communicating openly with the students. The disciplinarian here is not the counselor, it’s the wilderness. This is the true strength of wilderness therapy — consequences are not contrived. It’s pointless for a student to try to place the blame for mistakes on others or make excuses. If the student doesn’t build their shelter well and a storm keeps them from getting any sleep, that’s their fault. They can make excuses, but the wilderness doesn’t care. They’ll learn to take the time to build a better shelter next time, however, and when they do they’ll get a well-deserved boost of confidence in the process. 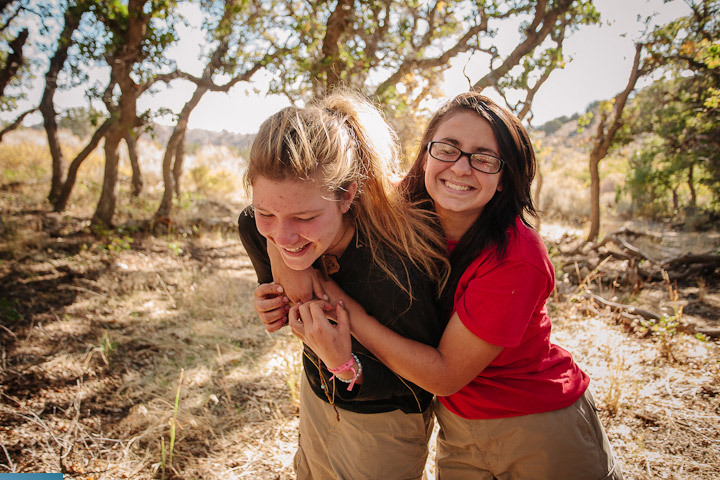 In a wilderness treatment setting, each student learns to take care of themselves. They must learn to cooperate, as well. This is a powerful tool for learning about consequences. If you don’t do it, it doesn’t get done. Nobody is going to bail you out if you’re just too lazy to complete a task. At the same time students are learning the valuable lesson about personal responsibility, they are also learning to appreciate how much their family does for them. Can wilderness therapy help my troubled teen? Wilderness therapy programs like Outback’s are specifically designed with troubled teens in mind. This type of intervention takes the adolescent away from their normal surroundings and puts them in a place without distraction — a place where they can learn about themselves, surrounded by kids who are going through the same thing and counselors who can guide them down the right path. So, the answer is yes, wilderness therapy can help your troubled teen (and existing research supports that claim.) You have to understand, however, that your child will be gone for an extended period of time — a few months — so you may want to explore some other avenues before wilderness therapy. Have you talked to other parents about the problems that your teen is having? Have you talked to teachers, guidance counselors, or therapists? More importantly, have you had a serious, heart-to-heart talk with your child? These are all avenues that should be explored before sending your child to a wilderness therapy program. If you’ve explored all these possibilities and nothing seems to be making a difference, it may be time to look into wilderness therapy options.